Before going viral on the internet, bingo games were initially played in halls/clubs but it’s doesn’t date of yesterday as it existed a hundred of years ago, known under a different name as used now. Historical reports have it that bingo games dates back to the 1500s in Italy and France, initially played as a form of lottery before becoming a popular pastime for the French aristocracy. Having travelled around the globe, many changes have been made to the original type of game played in Italy. While the 90 and 75 ball type of games are the most popular types of games around the world, the speed bingo is also amongst the favourite type of games amongst bingo gamers. Also known as 30-ball bingo, Speed Bingo is the newest type of bingo game that’s much quicker that the 90 or 75 ball game as a ball is called out on each second. This type of bingo game has been set up so as players can enjoy a maximum of bingo games in an hour! Speed Bingo consists of 3×3 bingo cards with 9 squares with a total of 30 numbers called out during the game. The way that the game is won is quite similar to that of the 90 ball game where 1 line, 2 line and full house have to be covered to be the winner of the game thus a three stage pattern. The object of the game is to fill in all nine numbers on your card before the other players. The advantage of 30-ball bingo is that you can get in and many games within a short period of time. 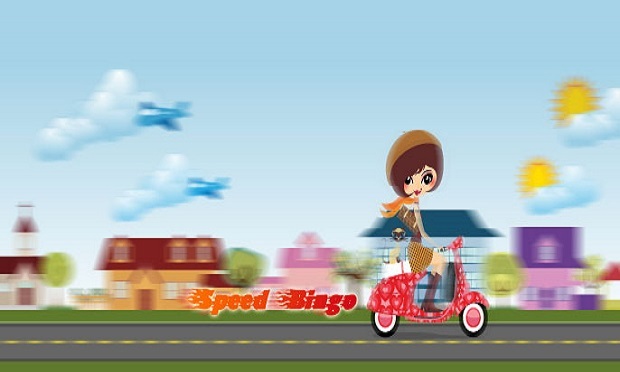 Speed Bingo is the perfect type of game for anyone who’s looking for swift bingo games. Found mostly at online bingo sites Speed Bingo comes with additional features depending on the site played on where those can be automatic daub, side games, option to pick your favourite caller and also the chat option where you may have a good chat with the players as well as the present host plus take part into the various chat games going on in the room. A breeze of fresh air brought into bingo, Speed Bingo will most likely appeal to the mass players. Now present at many online destinations, Speed bingo has gained popularity as the game is played at a quicker pace which allows some to have some quick games while preparing themselves for work or to go out and can even be played while you’re on break at work! For the best bingo offers on speed bingo, read online bingo reviews.com and stay informed.